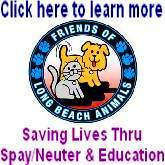 Message: "Improve Long Beach Airport! 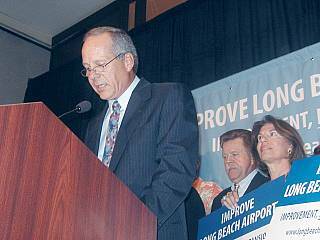 Improvement, Not Expansion"
Alliance's Donelon Says Airport Ballot Initiative "A Possibility" And "An Option" But Group "Hasn't Gone There Yet"
(April 28, 2005) -- With some of LB's most recognizable public figures on stage holding professionally printed signs saying "Improve Long Beach Airport! Improvement Not Expansion," the Long Beach Alliance held a press event to convey its public message and announce its website. "The initiative is an alternative. It's a possibility that we've considered. We have not gone there yet," he said. Mr. Donelon added, "Everybody that signed on, all of our supporters that are signing onto this effort to educate the community as to the truth. We have not asked them to support an initiative. If collectively, the group, which is everybody you see in this room and the people that have signed on to the Alliance, if we collectively feel that an initiative is the direction we will go, then we would certainly put that forward and ask everybody that's involved in this group if they would support an initiative. So that's two separate issues and it's an option." 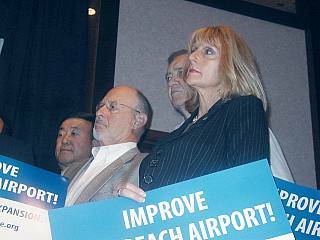 In addition to printed signs conveying the Alliance's message, professionally printed bumper stickers repeating the same message ("Improve Long Beach Airport! Improvement, Not Expansion") were also available. Mr. Donelon, one of three podium speakers, said recent actions of LB city leaders had "sent us on a path of confrontation and litigation, and away from cooperation and mitigation. They have not provided a direction that keeps up with the needs of the city." He continued, "We will do what has not been done and that's tell the truth. For more than a year, the truth has been distorted by the use of rhetoric, misinformation and scare tactics. Some have used the scare tactic that the plan is about "super sizing" and adding more flights. My friends, the only "super sizing" is their deception. The issue is about terminal improvements, not about more flights. 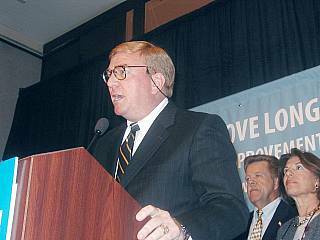 None of us would support an effort to increase flights at the Long Beach airport, period." Mr. Donelon concluded, "[W]e call on our city leaders to hear our voices: truth, not rhetoric, and respond to it as a clear majority of this city's residents. We believe too much time has been wasted and it's time to get the job done." LBReport.com posts extended excerpts and photos below. During Q & A, LBReport.com asked who paid to hire the Alliance's east coast media message management and website management firms. The responses we received are included with other salient Q & A below. LB Harbor Commissioner and former City Manager James C. Hankla and JetBlue's Kristy Ardizzone. Also noted (not pictured): Greg Whelan and Airport Advisory Commissioners Ron Salk and Bernhard Clever. The individuals above were among 51 supporters on a list released by the Alliance. 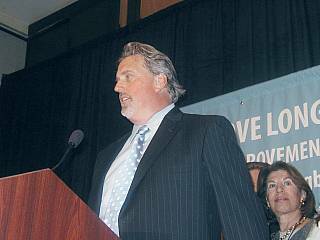 The list included LB Harbor Commissioner John Hancock...and Alliance co-chair Mike Donelon said from the podium that former Councilmember, now Harbor Commissioner, Doris Topsy-Elvord is also a "big supporter" of the Alliance. Mr. Donelon:...During my twenty years as a community activist and a former Councilmember who lives in and represented my airport-impacted neighborhood, I do not recall any issue that has brought together such a diverse and broad-based coalition as this issue has. I am very proud to be a part of this effort to educate the community to the facts about the Long Beach Airport and terminal improvements...[Introduces former Councilmembers indicated above, plus former City Mgr. 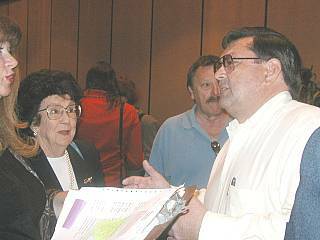 Hankla...and indicates former Councilmember (now Harbor Commissioner Doris Topsy-Elvord) is "a big supporter of ours."]. Long Beach is a growing city with a strong economy and working together we have maintained our friendly, small town feel that makes Long Beach special. Much of our success is due to our municipal airport and our unique noise control ordinance. We are one of the few cities in the United States that have local control over our airport. Thanks to our current ordinance, the people of Long Beach are able to enjoy the benefits of a successful airport without harming our quality of life. Now the success of our airport, its positive economic impacts, the comfort of passengers and airport personnel are at risk due to a new policy by our elected officials. The recent action by our city leaders have sent us on a path of confrontation and litigation, and away from cooperation and mitigation. They have not provided a direction that keeps up with the needs of the city. That is what the Long Beach Alliance is all about, a broad base of community leaders, business leaders and residents that share a common belief that a common-sense plan for improving our airport is an urgent need for our city. We intend to do this with truthful and respectful dialogue. We will do what has not been done and that's tell the truth. For more than a year, the truth has been distorted by the use of rhetoric, misinformation and scare tactics. Some have used the scare tactic that the plan is about "super sizing" and adding more flights. My friends, the only "super sizing" is their deception. The issue is about terminal improvements, not about more flights. 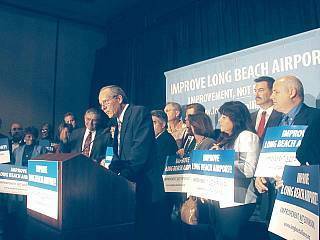 None of us would support an effort to increase flights at the Long Beach airport, period. The improvements in no way have an impact on our existing noise laws. The planned improvements will give residents an airport we can be proud of. It will provide a more comfortable, safer and more convenient environment for passengers and airport personnel. Again, that is what the Long Beach Alliance is all about, and that is why you see such a broad base of community support. So we call on our city leaders to hear our voices: truth, not rhetoric, and respond to it as a clear majority of this city's residents. We believe too much time has been wasted and it's time to get the job done. Mr. Roosevelt: ...[We're raising our two children] here in the city of Long Beach...in an area of Long Beach called Los Altos. We live directly underneath the final approach for Long Beach airport, and I can tell you on any given day, I'll give you the CF numbers off the planes that fly over my home. So obviously, it would only [mean] that I would be against expanding the flights into Long Beach airport. As a matter of fact, that's not going to happen and cannot happen at the request of our current sitting City Council or any City Council, it has to be done on a federal level. And as a matter of fact, while I was on City Council, it was one hellacious fight we had that we were fighting for an ordinance to get a hold of it, those 41 flights. So that's not part of the argument. The argument is that the airport, a wonderful and a sustainably developed airport, that will be comfortable to all of its passenger that come through there. I gotta tell you that I've always been pushing for environmental projects in the City of Long Beach and one of the things that I've...always felt from my city manager, Jim Hankla,...[he told me] whatever it is that you're going after, whatever project, whatever issue it is you're going after, you might start off at the beginning of the day like this [hands wide apart]...and at the end of the day, if you're not demonstrating that you've at least come a little bit closer, or you've attempted to bring them a little bit closer at the end of the day by honest dialogue, and without creating fear in the community about what might be coming down the line, then you really haven't done your job. And that's what this organization is about. At the end of the day, we invite people to come in, have honest dialogue with us...and we want to eliminate this element of creating fear in the community. 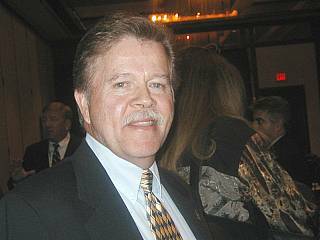 Doug Carpenter, Paragon Steel: ...When I first heard about the airport expansion, I was against it because of my experience as a kid [flight path to OC airport], but learning more about what is really involved has brought me today to speak to you. I'm very proud of Long Beach and the direction it's taken since we have moved here [28 years ago]. Mayor O'Neill has certainly had a great vision for our city when she got into office...and I'm a big supporter of that vision. I remember when we first arrived we couldn't go downtown, Long Beach wasn't a very hospitable place with the tattoo parlors and the theaters. And I was fortunate enough to start a business here twenty years ago and Long Beach has been a great city for us...[W]e [our familymembers] spend a lot of time in and out of Long Beach airport, and it is not a hospitable place to go in and out of the last few years during expansion...I went to the website this morning to make sure that this organization is in alliance with my vision for the city and it certainly is. We have lots of clients and our business that comes through the airport and into the city...and I really think that Long Beach really needs to reflect its best for the airport and we're certainly not doing that now. It's not just aesthetics that I view it as, as this improvement program goes forward. It's really about people and about jobs in our community. The economic outlook for the expansion is thousands of jobs, not just in the airport but for local businesses around. The construction project will employ multiple companies, and the completed terminal would house all types of businesses, retail, restaurants and give a much better experience than we're certainly offering now. Tourism is certainly a big thing for the city, and the airport just isn't set up to bring in and make this a tourist destination, so I think that's a shame. I think the distorted facts that are out there are just the wrong way to kind of approach this and I certainly, as Del would say, an honest and open dialogue about this. I read in the newspaper this morning, it said that people were interested to find the players who want to overbuild our airport, and I really, I just thought that was such a, I just really resented that because that's not what this is about. It's about improving our airport, improving our city and putting our best face forward. Question: Do you support putting this on the ballot, about the EIR aspects? Mr. Donelon: The initiative is an alternative. It's a possibility that we've considered. We have not gone there yet. Everybody that signed on, all of our supporters that are signing onto this effort to educate the community as to the truth. We have not asked them to support an initiative. If collectively, the group, which is everybody you see in this room and the people that have signed on to the Alliance, if we collectively feel that an initiative is the direction we will go, then we would certainly put that forward and ask everybody that's involved in this group if they would support an initiative. So that's two separate issues and it's an option. Mr. Donelon: Whether we do an initiative or not, there would be an environmental review process attached to it, absolutely. LBReport.com: Who paid to hire the Glover Park Group [and] the firm that designed your DC website as well, and who referred you to them? Mr. Donelon: You mean the Glover Park Group? Mr. Donelon: The coalition, I guess you'd say, is a group of people, and a lot of people have pitched in and done a lot of different things, and of course JetBlue is involved in it, and they're very proud of it. Mr. Donelon: No, I want to finish, and they're one of our biggest supporters, they're very proud of their involvement. And when we invited JetBlue into this process, and this where a lot of people are getting sideways, we invited JetBlue in this process, and they are a company that does not do knee-jerk reactions. They have done a tremendous amount of work, a lot of study. They've hired consultants to get out in the community and gauge the community, they've shared that information with us and we've benefited from it? 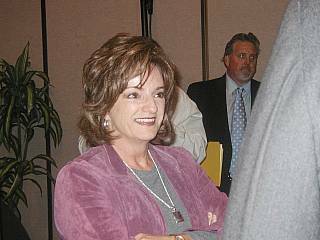 LBReport.com: So who paid to hire the Glover Park Group and the firm that designed the website and who referred you to them? 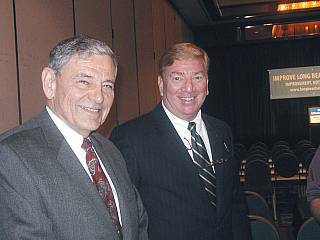 Mr. Donelon: Would any of the, where's Lou Anne [Bynum] at? Ms. Ardizzone: It's all been a group effort up until now and I think that's all going to be disclosed as we move forward. LBReport.com: Right. So who paid to hire the Glover Park Group and the firm that designed the website and who referred you to them? Mr. Donelon: JetBlue has contributed with support from the public relations people. 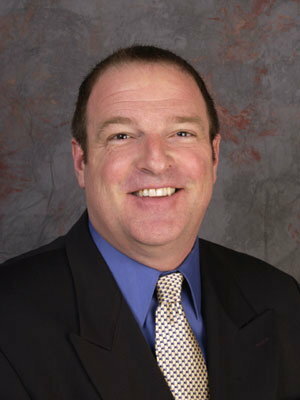 LBReport.com: What public relations people? Mr. Donelon: For the Glover Park Group. LBReport.com: So JetBlue has paid sums of money? Mr. Donelon: They have contributed, now exactly what they've paid I don't know but they've been sharing information with us. LBReport.com [to Ms. Cohen] Well, I was asking the co-chair [Mr. Donelon] who paid to hire your firm and the other DC firm that's doing the website. Question: Could I ask if the other airlines have been approached to be a part of the coalition? Ms. Bynum: We're in the process now of approaching all of the businesses at the airport. We hope to be able to give you more information about that very soon in the near future, and as soon as we get some information about that we'll put it up on our website. LBReport.com: Harbor Commissioner Hankla attended a meeting at Aeroplex with you Ms. Bynum, Ms. Ardizzone, Mr. Donelon and Mr. Castagna was present for a time there in March. [Story first reported by LBReport.com] Who invited him and why? Ms. Castagna: ...I can answer that. The Chamber of Commerce came together and Lou Anne please, came together, and we weren't talking about the airport. We came together to talk about a variety of business issues throughout the city...and the airport was one of those issues. LBReport.com: So the Chamber invited him [Commissioner Hankla]? Ms. Bynum: The Chamber invited people to come to the table. 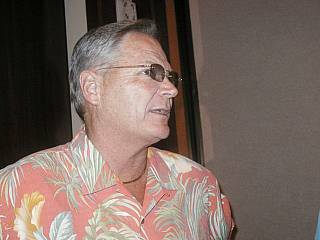 Mr. Donelon: Who invited Jim Hankla?